Have you ever thought a train was going to hit you? I see “Car Accident Stress” every night at work. It’s usually the feeling of the unknown after the collision that the driver feels. Or it’s how a person reacts to what just happened. Over the years I’ve seen all types of reactions to car accident stress. Every once in a while someone’s reaction stands out more than others. Last night was one of those times. When I arrived, I saw the aftermath of a two-car rear end collision. Both vehicles were still in the street, blocking traffic. One vehicle’s front end was smashed and there was fluid all over the road. Both vehicles were stopped next to a railroad crossing. This particular track is very active with trains going by all the time. The first driver I spoke to was calm and told me a tow truck was already on the way. The other driver was still sitting in her vehicle. I walked up and noticed she was crying. She had minor damage to the rear bumper of her Ford Expedition and I wondered why she was still crying twenty minutes after the crash. I then asked her what happened. As she started talking the railroad lights and bells started ringing as it singled the approach of another train. The railroad arms came down inches from the front of her vehicle. Thirty seconds later a train blew by us at 50 miles per hour. Between sobs and tears, the woman told me she was driving down the street when the railroad lights came on as she approached the tracks. She stopped and was then rear ended by the truck behind her. The impact pushed her forward onto the tracks where she came to a stop. After the collision she looked to her left and saw the headlight of the train coming toward her. Now, that’s not something you hear every day. “You actually saw the train’s headlight?” I asked. “I backed up,” she said between deep breaths and tears. This woman seemed like she was going to need some major counseling after tonight. She truly had the look of fear in her eyes and her body language was basically JELLO now. From training classes, I know that it takes thirty seconds for the train to get to the crossing after the lights and bells start sounding. I also know that it takes a while for the train to start back up again after the emergency brakes have been applied. This all made me think she really wasn’t that close to getting hit by the train. Plus she was able to back up before the arms came down. She was an emotional mess so I thought I should give her those facts to put her mind at ease. I figured it was the least I could do since she was now JELLO. I tried explaining it to her, but it didn’t help. I thought I’d get a smile and a deep sigh of relief. Instead, she cried louder and the sobs were bigger than before. She went from being solid JELLO to runny JELLO. 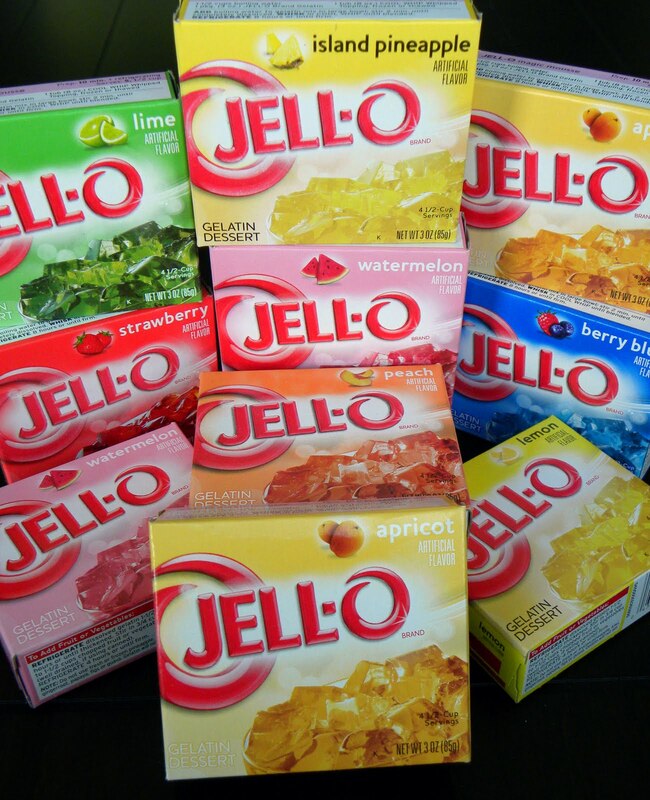 Kind of like JELLO that gets left out all day long at a picnic on a warm summer day. Now the poor girl couldn’t drive her vehicle out of the street. I had to get her father to move the car to a parking lot. After the street was clear I drove to the parking lot to ask her one final question. She wasn’t crying anymore, but she had the thousand-yard stare now. I felt bad for her because she truly thought she was going to die in fiery ball of death. There was nothing that I could say to make her believe the train really wasn’t going to smash her car into little pieces. All of this was probably made worse every time the train passed by. One thing is for sure after last night. If she ever has a son there won’t be any train sets in her house. This entry was posted in Stories from work and tagged fear, jello, law enforcement, police, police blog, police stories, stress, train by Badge415. Bookmark the permalink.